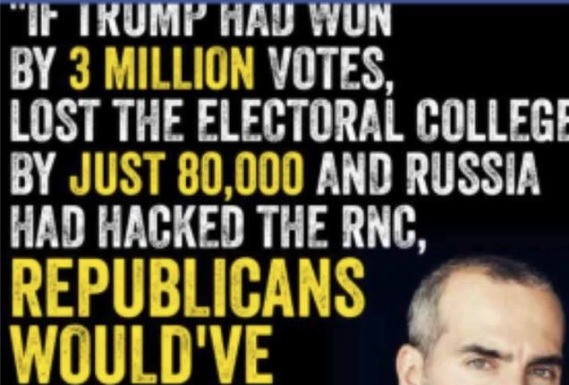 We’ve all seen disinformation posted from Occupy Democrats before, often when they’re grasping at straws to attack Republicans for any reason. It’s usually in attacking some liberal caricature of Republicans, who are all supposedly a bunch of racist, sexist, homophobic, Islamophobic, classist xenophobes. But you’d think that Occupy Democrats at least knows basic American civics – like that there are 538 electors in the electoral college (hence Nate Silver’s blog of the same name).